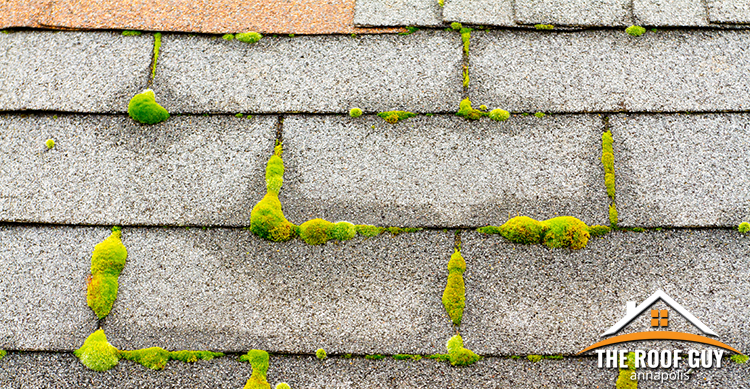 Home » Roof Repairs » Is There Moss Growing on Your Roof ? The sight of moss growing on your roof may seem quaint if you are a Hobbit living on the Shire in Middle Earth. However, in real life, moss is an unsightly blemish that not only detracts from the appeal of your home but interferes with the integrity of your roof. Moss is a nuisance that when left alone, becomes a damaging threat to your roof shingles. Here are the answers to the many questions you may have about moss growing on your roof. What causes moss to grow on my roof? The shingles of your roof are actually an ideal environment for moss and algae to grow. Moss loves damp, shady conditions. Therefore, you may often see it only on the north side of your roof, an area that typically receives the least amount of direct sunlight, which is only compounded if you have overhanging trees. Further, an accumulation of dead leaves and other organic debris that collect on your roof offer the necessary nutrients for moss to thrive. Why should I care if moss is growing on my roof? Moss holds onto water at the surface of your roof like a sponge. Over time, as the water freezes and thaws, the shingles pull apart and crack, allowing water to seep in and rot your roof. Consequently, because the moss tends to proliferate near the edges of the shingles, it can ultimately pry them apart as it grows and expands. Can I prevent moss from ever growing on my roof? The good news is that you can prevent moss from growing on your roof. An ounce of prevention will do wonders for saving your roof. Proper care and maintenance, plus regular roof inspections are the essential elements to keeping your roof moss free. That way, any issues are discovered and addressed right away. Additionally, trimming overhanging tree branches, removing leaves, and keeping gutters clean is an added preventative measure. Lastly, make sure your roof is well ventilated from inside your attic, preventing condensation from forming inside, which encourages moss to grow on the outside. How do I remove moss from my roof? It is possible to DIY roof moss removal. However, many factors must be accounted for. Safety needs always be the number one consideration because crawling around on your roof with a bucket can be dangerous. Also, avoid power washing at all costs as this will only further damage your roof. Use a scrub brush, and a light scrubbing action to remove moss and algae carefully. If using harsh chemicals take care of your plants below which could suffer damage by runoff. The Roof Guy always recommends calling a professional first if you have moss growing on your roof. 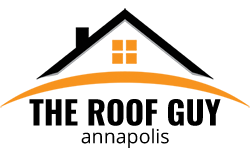 We provide a complete roof inspection, to make sure there is not already existing damage from the moss. If there is, trying to remove the moss may create an even bigger problem. Our team can also create a roof maintenance schedule to ensure you will never encounter this issue. Contact us today for a free evaluation!